Takeaway: Near term policy is keep a lid on prices in mid-$70s range ahead of US election. But after election: Katy bar the door. OPEC’s Joint Ministerial Monitoring Committee (JMMC) meets on Sunday, September 23 in Algiers, the first such in-person meeting since OPEC announced its plan to boost production by one million barrels a day (b/d) in response to pressure by President Trump after oil prices passed $80 in May. We think it is likely that the OPEC committee, co-chaired by the Saudi and Russian energy ministers, will make a similar pro-production message at the June 23 meeting as oil prices once again flirt with $80. While it is unclear at this time if the JMMC will provide a specific additional number for a production boost or it will be more verbal intervention, we believe OPEC will provide a strong message to the market that additional supplies are on the way. Our radar tells us something big is brewing at OPEC. The JMMC normally involves only six ministers but this meeting is approaching a full OPEC meeting. In August, Iran’s minister said he would attend with the objective of ensuring Iran’s market share in light of US sanctions. Now we have learned that nearly every OPEC and Non-OPEC minister is attending. So instead of six ministers, there are now 20 or more ministers attending. In addition, energy shuttle diplomacy is in high gear over the last 10 days. Saudi Minister Khalid al-Falih met with US Energy Secretary Perry last week in Texas on September 8 and again in Washington later during the week. Then Secretary Perry flew to Moscow to meet with Russian energy minister Alexander Novak on September 12. We should note that there are not many visits by US cabinet members to Moscow these days. “The kingdom (of Saudi Arabia), the members of OPEC that are opting their production to be able to make sure that the citizenry of the world does not see a spike in oil price are to be admired and appreciated, and Russia is one of them,” Secretary Perry told reporters at a press conference with Minister Novak last Wednesday. Over the weekend, Minister al-Falih traveled to Moscow to meet with Minister Novak and said they are working on an arrangement to continue and establish a permanent cooperation between OPEC and non-OPEC partners. Minister al-Falih then flew to Vienna where he spoke on Monday with Secretary Perry at the International Atomic Energy Agency general conference. Possible Near Term Scenarios - "The Machinery of Saudi Aramco is Already in Motion"
Permanent OPEC-Russia Agreement – We are expecting to see an announcement about establishing a permanent OPEC/Russia/Non-OPEC Cooperation Agreement that will actively try to manage oil markets and take the place of the current OPEC/Non-OPEC agreement that expires at year-end. The Saudis see Russia’s continued involvement as critical to their efforts. Some news on this issue seems almost certain. Messaging on Production Boost - OPEC and Russia have already boosted production 800,000 to 1 million b/d in August from May levels depending on your data source. At the very least, we think they will highlight this impressive number and suggest more is available in the months ahead. Perhaps we will hear from Saudi Minister al-Falih like we did in June when he said “the machinery of Saudi Aramco is already motion” to hike production in September. These words translated into a 400,000 b/d boost in June production and would get the attention of the market again. Specific Production Boost Announcement - OPEC is capable of adding production in the near term. Saudi Arabia hinted to reporters at the June OPEC meeting that it was prepared to boost production to near 10.8 million b/d to meet their share of necessary production hikes. This would translate into about an additional 400,000 b/d from August levels. Russia, Kuwait, UAE and Iraq can collectively add another 300,000 to 400,000 b/d to the mix. What is driving the production focus at the Algeria meeting? Two related reasons: 1) Concern that $80 oil ahead of the US election will trigger Trump pressure and Congressional action on the so-called NOPEC legislation; and 2) Make preparations to deal with cuts of nearly 1 million b/d of Iran oil exports resulting from tough implementation of US sanctions. OPEC and Saudi Arabia were perfectly happy with oil prices in the $80 range in May but flipped at the June OPEC meeting after pressure from Trump and the introduction of NOPEC legislation in Congress. The White House has leaned heavily on Saudi Arabia and other Gulf producers, who support the Iran policy, to increase production and mitigate any price hike, especially before the US election. The rest of OPEC was convinced to go along to stop momentum on the NOPEC legislation. US sanctions on Iran oil sales are not effective until November 4 but recent reports suggest that Iran’s oil exports have already been cut by about 700,000 b/d. 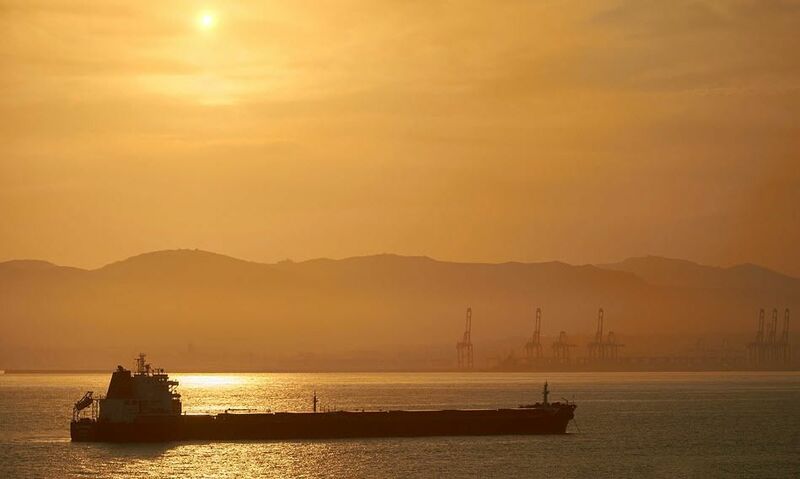 In addition, new reports have revealed that Iran is now building floating inventories that further confirms a real hit to crude exports. During the previous sanctions, Iran had stored about 40 million barrels in floating inventory on tankers with no destination. We forecasted last year and have maintained that global oil markets will lose about 1 million b/d due to US sanctions on Iran oil. Our number was out-of-consensus as too high at the time but now it is looking like it was too conservative. The news of floating storage and substantial cuts in purchases of Iranian crude ahead of sanctions being implemented is a key reason for oil approaching the $80 level again. We see this only as a near term policy to get through the US election in November but we think the strategy will be tested when faced with the double hits of continued declines in Venezuela production and extremely effective US sanctions on Iran oil exports. However, for the longer term, we believe Saudi Arabia and OPEC are comfortable with prices in the $80 range and may recalibrate the strategy to allow prices to go higher. We see the US election on November 6 and the next OPEC meeting on December 3 as catalysts for these near term and longer term oil price strategies.